A Puzzle: Will You (Yes, You) Decide The Election? Welcome to The Riddler. 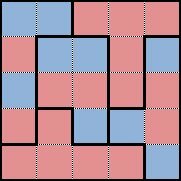 Every week, I offer up problems related to the things we hold dear around here: math, logic and probability. These problems, puzzles and riddles come from many top-notch puzzle folks around the world — including you! There are two types: Riddler Express for those of you who want something bite-sized and Riddler Classic for those of you in the slow-puzzle movement. Before we get to the new puzzles, let’s reveal the winners of last week’s. Congratulations to 👏 Diana Salsbury 👏 of Baltimore and 👏 David Kaczér 👏 of Leuven, Belgium, our respective Express and Classic winners. You can find solutions to the previous Riddlers at the bottom of this post. 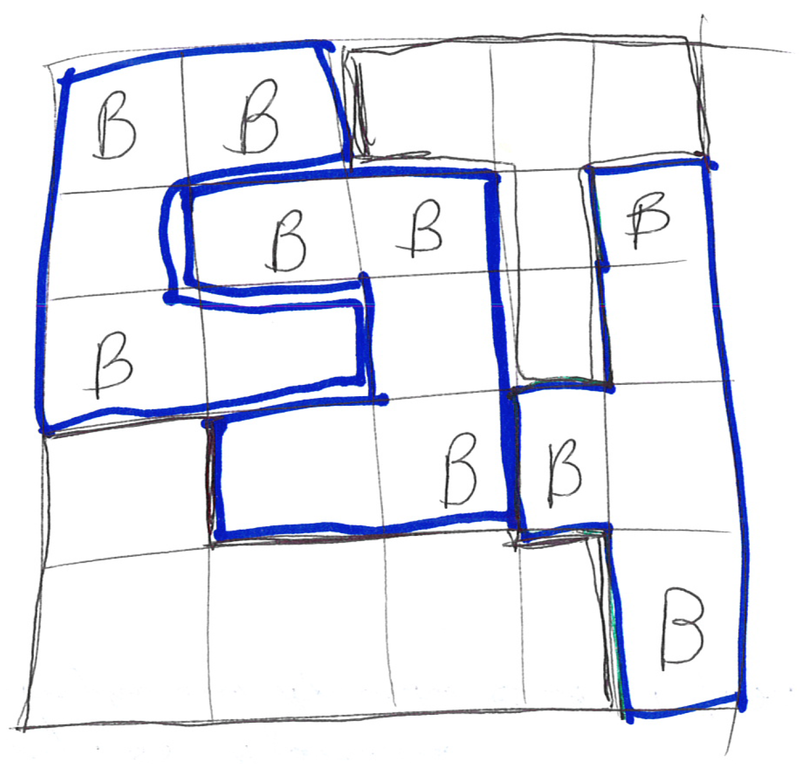 First, for Riddler Express, a very scary bridge puzzle, from Brent Edwards. Four people have to cross an old, rickety bridge over deep, cold water infested with sharks, alligators, crocodiles and shrieking eels. The bridge is so old that it can hold no more than two people at any given time. It’s the middle of the night, so on every trip across the bridge, the person crossing needs to use the group’s only flashlight to cross safely. The four people who need to cross all walk at different speeds. One of them takes one minute to cross, one takes two minutes, one takes five minutes and one takes 10 minutes. If two people cross together, they need to stay together to share the flashlight, so they cross at the speed of the slower person. For example, the one-minute person can cross with the 10-minute person, and that trip would take 10 minutes. How quickly can all four people get across the bridge? If you need a hint, you can try asking me nicely. Want to submit a new Riddler Express? Email me. If you need a hint, you can try asking me nicely. Want to submit a new Riddler Classic? Email me. 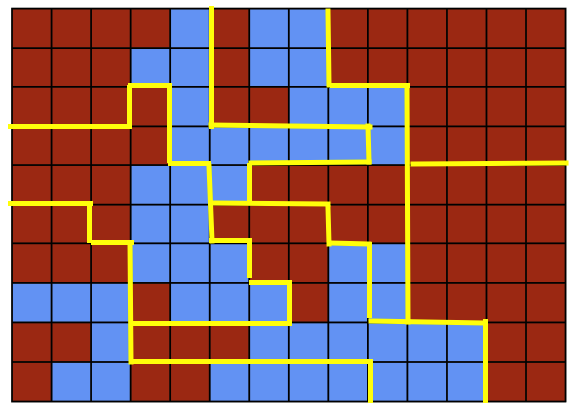 Here’s the solution to last week’s Riddler Express, which taught you how to gerrymander a small, imaginary region of voters. 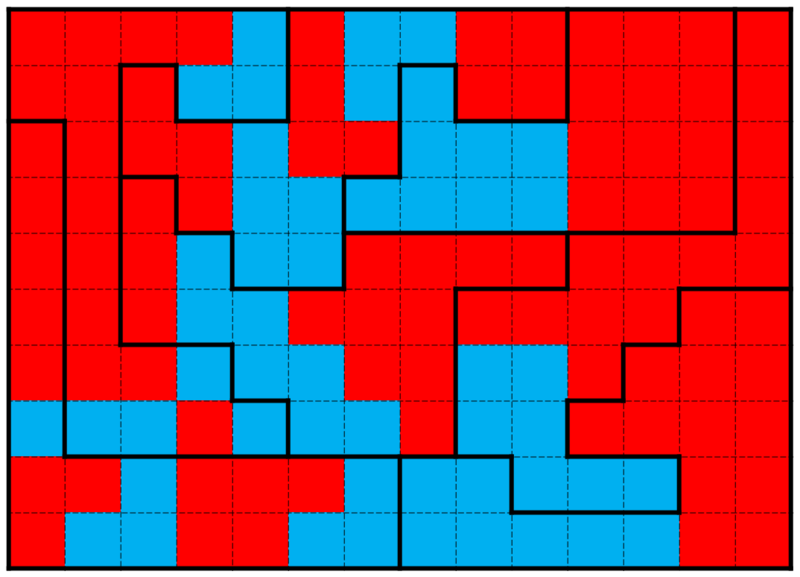 Even though Red Party voters outnumber Blue Party voters 16 to nine, you can draw five districts such that the Blue Party wins three and the Red Party only two. Democracy! In both cases, the Red Party wins two districts by a landslide vote of 5 to 0, but the Blue Party wins the remaining three districts, each by a narrow vote of 3 to 2. As in Riddler Express, gobs of Red voters are packed into a couple of districts, which Red wins handily, but their influence is diluted elsewhere. That allows Blue to eke out some narrow victories. Maps matter. Important small print: To be eligible, I need to receive your correct answer before 11:59 p.m. EST on Sunday. Have a great weekend!